ADDults with ADHD (NSW) Inc does not use paid collectors. We rely on donations, sponsorships, grants and fundraising activities conducted by our volunteers. However like everyone else our expenses for the services that we provide continue to increase. Please consider making an extra donation to ADDults with ADHD. 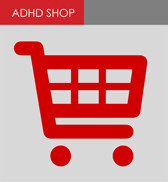 Every donation helps further our support for adults with ADHD. Choose a donation amount option or make a donation for amount of your choosing. As always, your donation is a purely voluntary and we certainly do not want you to overcommit your finances in order to make a donation. All donations over $2 are tax deductible because ADDults with ADHD holds Deductible Gift Recipient status. To be sure check your situation with your tax advisor or the Australia Tax Office. Thank you for all your support in the past - we wouldn't be here without you.